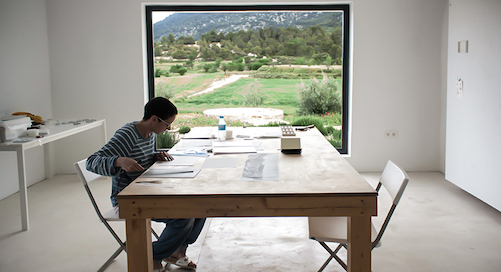 Joya: AiR is a not for profit arts residency developed by artists for artists of every conceivable discipline. Consider Joya: AiR not only a unique, stimulating and contemplative environment for international artists and writers, but as a meeting point for divergent and creative thinking. This is a multi-disciplinary residency, self determined, critical and profoundly engaging. Joya: arte + ecología / AiR is an “off-grid” interdisciplinary residency rooted in the crossroads of art, ecology and sustainable living practice. It is located in the heart of the Parque Natural Sierra María – Los Vélez, in the north of the province of Almería, Andalucía. Joya: AiR offers abundant time and space for residents to make, think, explore and learn from their surroundings. The length of the residency would be 1 to 2 weeks (longer periods are available).